Proposal writing for academic purposes at certificate, diploma, undergraduate, and postgraduate levels. Proposal writing for purposes of application for project funding. Book editing and academic research paper editing. Research data collection, analysis and interpretation. Life success coaching in leadership development, business success, communication strategies and living on purpose. Public speaking skill and speech writing. Research Topic: Form and Content of African Music. Master of Philosophy (M Phil): Linguistics & Literature. Research Topic: Aesthetics in African Music. Attained 2nd Class Honors (Upper Division). Professor of Music (Ethnomusicology & Musicology) and Founding Dean, Kabarak University, School of Music and Performing Arts. Founding Dean and Associate Professor of Music (Ethnomusicology & Musicology) - On Sabbatical leave. School of Music and Performing Arts. Associate Professor of Music (Ethnomusicology & Musicology) - Moi University, Department of Literature, Theatre and Film Studies. In Charge of Moi University Choir. Thesis Title:: The Place of Music In Early Childhood Education In Kenya: Theory, Policy and Practice. Thesis Title: Influence of Principal Leadership on School Climate in Public Secondary Schools in Kenya. Thesis Title: Assessment of Job Satisfaction and Performance of Music Teachers in Kenyan Teacher Training Colleges (Ongoing). Thesis Title: Kenyan Music Curriculum and Careers in the 21st Century: A Study of Selected Secondary Schools in Nakuru and Nairobi Counties (Ongoing). Thesis Title:: Style and Meaning in Funeral Oratory: The Case of Bukusu Khuswala Kumuse. Thesis Title:: Implementation of the 8:4:4 Secondary School Music Curriculum in Kenya: A Survey Of Selected Schools in Rift Valley Province. Thesis Title:: Electronic Media and its Influence on Gender-Based Violence among Households in Langas Location Eldoret Municipality Kenya. Topic: Challenge of Teaching the Expanded Kiswahili Syllabus in Secondary Schools: A Study of Selected Secondary Schools in Trans-Nzoia West District, Kenya. 5. ERIC NDEGE KIDIAVAI: Admission Number - GMC/M/0957/08/16. Topic: Issues in composing, adaptations and arrangements of African Traditional Songs and Compositions for Brass Bands in Kenya (On-going). 6. URBANUS MUSYOKI MUSEMBI: Admission number – GMC/M/0958/08/16. Thesis Title: Romancing the Troubled Tribe: Okatch Biggy and the Luo of the 1990s. Thesis Title:: Usemezano Katika Grafiti: Mfano wa Chuo Kikuu cha Moi. Thesis Title:: Syntactic Errors Exhibited by Secondary School Learners of Kiswahili: A Study of Idakho First Language Speakers. Thesis Title:: Uchanganuzi wa Viimarishi na Hali Pragmatiki Katika Mofosintaksia ya Kigusii. Thesis Title: Nyimbo za Watoto wa Shule za Chekechea na za Msingi Katika Manispaa ya Bomet: Uchunguzi wa Kiuamilifu. Thesis Title:: The Implementation of the Physical Education Curriculum in Secondary Schools: A Case of Bomet District, Rift Valley Province, Kenya. Thesis Title: Uamilifu wa Lugha Katika Vita Dhidi ya Ukimwi. Thesis Title: Exploring the original creative arts production of grade 2 and 3 learners in contemporary cultural practices. Faculty of humanities, Music Department of University of Pretoria. November 2015: Through Utafiti Foundation in collaboration with Moi University, organized and co-ordinated The Sixth International Utafiti Foundation Music Workshop in Eldoret, Kenya. 2014 (March) to June 2015: Appointed by H.E. Daniel Arap Moi (The Chancellor of Kabarak University) as CHAIR of the Panel of Music Specialists Designing the Kabarak University School of Music Curriculum. 2013 June: Co-ordinated a Fulbright scholarship program in which a visiting Fulbright scholar, Dr. Diana Nixon, from Indiana University, donated 20 Music text books to Moi University. 2013 March: Sourced, received and handed over a donation of 50 Music text books from Syracuse Greater School of Music to Moi University. The books were donated by Jean Macleod - The Founder of the school. December 2012: Through Utafiti Foundation in collaboration with Moi University, organized and co-ordinated The Third International Utafiti Foundation Music Workshop in Eldoret, Kenya. 2012 August: Initiated Collaboration between Moi University, School of Arts; Embakasi Administration Police Training College; Indiana University School of Music and Utafiti Foundation Research and Documentation Center with a purpose of enhancing musical arts education training and exchange programs between Indiana University and Moi University. As a result a contingent of senior officers from Embakasi Police Training College led by Senior Superintendent Charles Njoka travelled to Indiana on 20th September, 2012 so that they can sign a memorandum of understanding. 2012 from April to August: Co-ordinated and taught the first Certificate and Diploma in Music Students mainly from Embakasi Administration Police Training College in Nairobi. The students will graduate in December, 2012. 2011: Between 27st November and 3rd December, 2011: through Utafiti Foundation in collaboration with Moi University, organized and co-ordinated The Second International Choral Music Workshop with the theme: Nurturing Creative Potential in March and Instrumental Music for Service to Humanity. Forty members of The Administration Police (Kenya) attended. A number of them will be joining Moi University in March 2012 to take Music courses at certificate, Diploma and Degree levels. 2010: Between 21st and 28th November, 2010: Through Utafiti Foundation organized and co-ordinated The First International Choral Music Workshop with the theme: Interpreting and Appropriating Choral Music: Echoes of African Scholars. Eminent music scholars, namely: Professor Jean Kidula and Professor Mitos Andaya - all from University of Georgia at Athens, USA. During the workshop Moi University Music courses - certificate, Diploma and Degree levels were launched. 2010, November 5 - 13: Facilitated and organized the Launch of Africa Now! : A Festival of Indigenous Theater and Performing Arts in Africa. During the Lounge, Dr. Gordon Bronitsky of Bronitsky and Associates (www.bronitskyassociates.com) was the Fulbright Scholar Guest speaker. He was sponsored by the US Embassy and the US Government. 2010, January: Founded Utafiti Foundation (U.F. ): Research and Documentation Center - A voluntary and charitable organization that seeks opportunities to serve art-based students, scholars, researchers, writers and performing artistes through innovative solutions. U.F. is officially registered in Kenya under Section 10 of the Societies Act: Registration number - 34182. 2010: Designed, co-ordinated and launched the Moi University music curriculum at certificate, Diploma and Degree levels. 2010: Produced a musical video Production - Mwanasiasa (The Politician) - that highlights the double-speak and disconnect between what the politicians in Kenya say and what they do. It was a fourth year Musical Theater Project that I supervised, recorded and performed with my student - James Macharia. 2009, September: Edited and Wrote Foreword to RISEN: From Jamestown to the White House by Anthony M. McDonald Sr. Published by AS & J Publishing Group, St Louise, MO, USA in 2009. Published on 18th January, 2010. ISBN 978-0-615-34513-0. 2009, August 3 - 4: Facilitated a Music Education Workshop For Teachers and Pupils at Kamanzi, Kenya in Collaboration with Marion Bregande (U.S.A) and Jean MacLeod (U.S.A). 2008, 7th December: Presented the Moi University choir for a joint Christmas carol music performance with Kabarak University, Nakuru, Kenya. 2008 13th to 17th November: Presented the Moi University choir for a joint Christmas carol music performance with Makerere University at Makerere University, Kampala, Uganda. 2006 - 2007: Video production -Worked on a video production ending up with the first Moi University DVD featuring the Moi University Anthem. The DVD, which features sceneries in most Moi University campuses, is currently deposited in the archival section in the Margret Thatcher Library at Moi University, main campus. 2007 - Performed Moi University Anthem I composed 2005. The Anthem was approved by Professor B.A. Ogot in 2006 after being presented to the Council and Senate. In 2007, it was written in staff notation and recorded in audio and video form. 2006 - Informant for “The Protection and Promotion of Musical Diversity.” A Study carried out for UNESCO by the International council. Principal Investigator - Richard Letts. August 2017: Initiated a collaboration between Sound Creations Company in Nairobi and Kabarak University School of Music and Performing Arts in order to mount and teach a Sound Engineering holiday short course annually during April, August and December holidays. The programme earns Kabarak University a substantial amount of income per session. October 2015: Appointed to the Kenyan Selection Panel of DAAD Annual Scholarships for PhD studies in Germany. March, 19th 2013 to date: Appointed as Associate Editor of the International Research Journal of Musicology and Drama (IRJMD). October, 2011 to Date – Member of The Society for Ethnomusicology (USA). January, 2010 to date – Founder and executive director of Utafiti Foundation (UF): Research and Documentation Center – A voluntary and charitable organization whose main objective is to seek opportunities to serve art-based students, scholars, researchers, writers and performing artistes through innovative solutions. To date U.F. has edited over 50 documents that have so far been published by an International book publishing Company in Germany: VDM DR. MULLER. UF is currently paying tuition and accommodation fees for THREE post-graduate students: Sammy Maina, Japheth Langat, at Moi University and Richard Muhambe at Masinde Muliro University respectively. The students are volunteer workers at U.F. January, 2010 to date – Consultant and Editor at Kenya Literature Bureau (KLB). April, 2006 to date – Representative for the New York based International Repertory of Music Literature (RILM): East Africa Chapter. January, 2006 to date – Consultant and Editor for International Labor Organization (ILO); Kenya Chapter. 2005 to date – Member, Kenya Oral Literature Association. 1. August 2016 to date: Editor in Chief, Journal of African Musicology Online (AMO). ISSN 1994 -7712. 2. 2016 to date: Member, Science Publishing Group. 3. 2014 to date: Editorial Board Member, Pan African Society of Musical Arts Education (JMAE). ISSN 2309 – 9240. 4. 2013 to date: Editorial Board Member, African Journal of Education, Science and Technology (AJEST) ISSN 2312-6655. 5. January, 2010 to date – Chief Editor, Founder and Executive Director of Utafiti Foundation(UF): Research and Documentation Center (www.utafitifoundation.com) – A voluntary and charitable organization whose main objective is to seek opportunities to serve academic writers, researchers, writers and performing artistes training and publishing. 6. January, 2010 to date – Consultant and author, Kenya Literature Bureau (KLB). 2016 to date – Reviewer: International Journal of Academic Studies (IJAS). 1. 2017: Kabarak University 7th International Conference. Kabarak, Nakuru, Kenya. 2. 2017: PASMAE Conference in Mbabane, Swaziland: 29th June – 2nd July 2017. 3. 2016: Kabarak University 6th International Conference. Kabarak, Nakuru, Kenya. 4. 2015: Kabarak University 5th International Conference. Kabarak, Nakuru, Kenya. 5. 2013: PASMAE Conference in Kampala, Uganda: 29th July – 1st August 2013. 6. 2009: Music and Lifelong Learning Symposium 2009: Hanze University of Applied Sciences, Groningen Prince Claus Conservatoire, The Netherlands. 7. 2007: PASMAE Conference in Lilongwe, Malawi: 22nd – 27th July 2007. 8. 2005: Music and Lifelong Learning Symposium of April 14-16, 2005: University of Wisconsin-Madison, U.S.A.
9. 2003: PASMAE Conference in Kisumu, Kenya: July 5th-11th, 2003. 1. Muhoro, P.M. and Wanyama, M. N. (2017). Psycho-Therapeutic Concerns in Performance Arts and Community Development in Africa Kabarak Journal of Research & Innovation. 5 (1). pp. 129-134. ISSN: N 2305-784X. 2. Monte, E. P., Wanyama M. N. Kiguru, D. W. (2016). Challenges and Innovations in Africanising Music in the Classroom: A Kenyan Experience. In Kabarak Journal of Research & Innovation. 4 (2). pp. 93-101. ISSN: N 2305-784X. 3. Wahome, M., Egesa, O. Wanyama, M. N. (2015) Entrenching Quality Assurance Culture Through Graduate Tracer Studies in East Africa: Lessons Learnt, Challenges and Prospects from MUtrace. International Journal of Education Learning and Development Vol.3, No.2, pp.15-24, March 2015. ISSN 2054-6297 (Print), ISSN 2054-6300 (Online). 4. Shitandi, W. Wanyama, M. N. (2015) The Challenges of Application of African Traditional dance for Contemporary Educational Relevance. In Pan-African Journal of Musical Arts Education (JMAE). 1 (1). ISSN 2201- 6333. 5. Shitandi, W.O., Makobi, S. Wanyama, M. N. (2014) Taifa Muziki (TMzi): Changing Choral Soundscape in Kenya through Engaged Musicianship. Kenya Journal of Musical Arts (KAMAE). Volume 2, April 2014. ISSN: 2306 - 0549. 6. 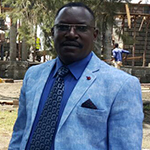 Wanyama M., Egesah O. B. (2015) Ethnography and Ethno-music of Babukusu Traditional Male Circumcision; Messaging, Symbolism and Rationale. In Sociology and Anthropology 3(1): 6-18, 2015. Horizon Publishing Corporation. 7. Egesah O. B., Wanyama M., V. Muange (2014) The Relevance of Intangible Cultural Heritage in Modern Times: Evidence from Babukusu Male Circumcision. In Sociology and Anthropology 2(7): 273-283, 2014. Horizon Publishing Corporation. 8. Misaro, J., Wanyama, M.N., Jonyo, F., Birech, J. & Kiboro, C.N. (2014) Collateral Strategies for Poverty Reduction in Kenya: Prospects and Challenges. In Journal of Economics and Sustainable Development. Vol 5, No 12 (2014). 9. Sinyei, C. J. M. & Wanyama M. N. (2013). Competencies of Early Childhood Education Teachers to Implement the Music and Movement Curriculum in Eldoret Municipality, Kenya. Journal of Kenya Association of Music and Arts Education (KAMAE). ISSN:2306-0549. 10. Wanyama, M. N. (2012). Researching on Kenyan Traditional Music and DanceToday: Methodology and Ethical Issues Revisited, Muziki Journal of Music Researchin Africa, 9:2, 1-8. ISSN: 1812-5980 (Print) 1753-593x (Online). 11. Wanyama, M. N. & Shitubi, I. W. (2012). Emergent Issues Regarding African Traditional Dance’ and ‘African Contemporary and Dance’: A Discourse on the Current Theory and Practice of African Dance Criticism and Choreography. InInternational Journal of Current Research. Vol. 4, 03, pp. 225 – 228, March, 2012. ISSN: 0975-833X. 12. Shitubi, I. W. & Wanyama, M. N. (2012) Music, Movement and Drama in Early Childhood Education: An Assessment of the Moi University Case. In International Journal of Current Research. Vol. 4, 03, pp. 225 - 228, March, 2012. ISSN: 0975-833X. 13. Sinyei, C. J. M. & Wanyama M. N. (2012). An Assessment of the Availability of Resources to Facilitate Early Childhood Music and Movement Curriculum Implementation in Eldoret Municipality, Kenya. Journal of Emerging Trends in Educational Research and Policy Studies (JETERAPS). ISSN: 2141-6990. 14. Sinyei, C. J. M. & Wanyama M. N. (2012). Provision of In-Service Training to Early Childhood Music and Movement Curriculum Teachers in Eldoret Municipality, Kenya. Research Journal in Organizational Psychology and Educational Studies(RJOPES). ISSN: 2276-8475. 15. Sinyei, C. J. M. & Wanyama M. N. (2012). Dealing with the Prevailing Attitudes and Challenges for Effective Implementation of Early Childhood Music and Movement Curriculum in Eldoret Municipality, Kenya. Research Journal in Organizational Psychology and Educational Studies (RJOPES). ISSN: 2276-8475. 16. Wanyama, M.N. (2015). The meaning and Significance of Research in the Performing Arts: The African Context. In Okong’o, J. B., Mbogo, F. and Waliaula, S. (Eds.). In Theatre Arts Education: Approaches in Kenya. Nairobi: The Jomo Kenyatta Foundation. pp. 205 -215. 17. Masasabi, A. & Wanyama, M. N. (2014). Arrangement and Composition of African Melodies: A Study of Litungu Music of the Bukusu Community. In Singing A Nation: 50 Years of Music in Kenya. In Akuno, E. A. (Ed.). Emak Music Services. pp. 39 - 62. ISBN: 9966 -7028-5-7. 18. Wanyama, M. N. & Okong’o, J. B. (2011). Confronting AIDS through Popular Music Cultures in Kenya: A Study of Princes Jully’s “Dunia Mbaya,” Jack Nyadundo’s “Ukimwi” and Oduor Odhialo’s “Nyakomollo.” In The Culture of AIDS in Africa: Hope and Healing Through Music and the Arts. Barz, G. and Cohen, J. (eds.). Oxford University Press. pp. 268 – 282. ISBN: 9780-0-19-974448-0. 19. Wanyama, M. N. (2011). The Impact of Popular Music Messages and Performance on HIV/AIDS Control among the Youth in Kenya. In Interpreting and Appropriating Choral Music: Echoes of African Scholars. Wanyama, M. N. and Shitandi, W. O. (eds.). Saarbruecken, Germany. VDM Verlag Dr. Müller. pp. 101 – 115.ISBN: 978-3-639-36690-7. 20. Wanyama, M. N. (2011). Dance as a Means of Cultural Identity: A Case of the Bukusu Kamabeka Dance. In Mekism and Knowledge Sharing of the Musical Arts of Africa: A book of General Reading in Honour of Professor Meki Nzewi. Onyiuke Y. S., Idamoyibo, I. O. and Agu, D.C.C. (Eds.). Nimo. Anambra State, Nigeria: Rex Charles & Patrick Ltd. pp. 165 – 170. ISBN: 978-978-50539-4-3. 21. Wanyama, M. N. & Omolo-Ongati, R. A. (2010). A Biography of Thomas Wasonga Ogola (1954 -) In Biographies of Kenyan Musicians, Volume 1. pp. 175 – 197. A publication of Permanent Presidential Music Commission (PPMC), Nairobi: Government Printer. ISBN 978-9966-21-025-8. 22. Wanyama, M. N. (2010). A Biography of Habel Kifoto (1949 -) In Biographies of Kenyan Musicians, Volume 1. pp. 89 – 101. A publication of Permanent Presidential Music Commission (PPMC), Nairobi: Government Printer. ISBN 978-9966-21-025-8. 23. Wanyama, M. N., Atoh, F.O., Kemoli, A. M., Ngala, F.B.J.A. & Odwar, H. A. (2010). Moi and Music Performance in Public and Private Universities: The Case of Nairobi, Moi, Egerton, Kabarak, Kenyatta And Maseno Universities, Kenya. In Music in Kenya: Development, Management, Composition and Performance - A Tribute to Daniel T. Arap Moi. Nakuru: Kabarak University. pp. 53-70. ISBN 978-9966-023-00-1. 24. Wanyama, M. N. (2010). Traditional African Music Instruments and Regional Cultural Festivals in Kenya. In Music in Kenya: Development, Management, Composition and Performance - A Tribute to Daniel T. Arap Moi. Nakuru: Kabarak University. pp. 173 – 177. ISBN 978-9966-023-00-1. 25. Wanyama, M. N. (2010). Kenya Music Festival: Growth and Impact on Music Development in Kenya during the Nyayo Era. In Music in Kenya: Development, Management, Composition and Performance Music in Kenya - A Tribute to Daniel T. Arap Moi. Nakuru: Kabarak University. pp. 46 - 52. ISBN 978-9966-023-00-1. 26. Wanyama, M. N. (2010). The Growth of Gospel Music in Kenya during the Nyayo Era. In Music in Kenya: Development, Management, Composition and Performance - A Tribute to Daniel T. Arap Moi. Nakuru: Kabarak University. pp. 29 – 36. ISBN 978- 9966-023-00-1. 30. Wanyama, M. N., Makobi, T., Mwakiridia, M. & Korir, J. (2015). Alpha Diploma PGDE Music, Movement and Dance Activities. Nairobi: Kenya Literature Bureau. ISBN978996610188-2. 31. Serem, D. K., Boit J. M. & Wanyama M. N. (2013) Understanding Research: A Simplified Form. Eldoret: Utafiti Foundation Publishers. ISBN: 978-9966-26-011-6. 33. Wanyama, M. N. (2010). Mimi ni Mzalendo (Composed in 1999). In Music in Kenya: Development, Management, Composition and Performance - A Tribute to Daniel T. Arap Moi. Nakuru: Kabarak University. pp. 290 -299. ISBN 978-9966-023-00-1. 34. Wanyama, M. N. (2010). Mashujaa (Composed in 2000). In Music in Kenya: Development, Management, Composition and Performance - A Tribute to Daniel T. Arap Moi. Nakuru: Kabarak University. pp. 405 – 410. ISBN 978-9966-023-00-1. 35. Wanyama, M. N. (2010). Uzalendo (Composed in 1996). In Music in Kenya: Development, Management, Composition and Performance - A Tribute to Daniel T. Arap Moi. Nakuru: Kabarak University. pp. 541 – 550. ISBN 978-9966-023-00-1. 36. Wanyama, M. N. (2010). Yelele (Composed in 2000) In Music in Kenya: Development, Management, Composition and Performance - A Tribute to Daniel T. Arap Moi. Kabarak University. pp. 581 – 585. ISBN 978-9966-023-00-1. 37. Wanyama, M. N. (2010). Twawapongeza Wakulima Wote (Composed in 2000). In Music in Kenya: Development, Management, Composition and Performance - A Tribute to Daniel T. Arap Moi. Nakuru: Kabarak University. pp. 673 – 678. ISBN 978- 9966- 023-001. 38. Wanyama, M. N. (2010). Wakulima Wote (Composed in 1999). In Music in Kenya: Development, Management, Composition and Performance - A Tribute to Daniel T. Arap Moi. Nakuru: Kabarak University. pp. 692 – 698. ISBN 978-9966-023-00-1. 39. Wanyama, M. N. (2010). Twasambaza Habari (Composed in 1999). In Music in Kenya: Development, Management, Composition and Performance - A Tribute to Daniel T. Arap Moi. Nakuru: Kabarak University. pp. 804 – 809. ISBN 978-9966-023-00-1. 40. Wanyama, M. N. (2010). Furaha Tele Tele ( Composed in 2010). In Music in Kenya: Development Management, Composition and Performance Music in Kenya - A Tribute to Daniel T. Arap Moi. Nakuru: Kabarak University. pp. 853 – 859. ISBN 978-9966023-00-1. 41. Wanyama, M. N. (2007) Dance as a Means of Cultural Identity: A Case of the Bukusu Kamabeka Dance. In The Journal of Music Research in Africa - MUZIKI (formally known as Ars Nova ISSN 1812-5980. pp. 213-221. 42. Wanyama, M. N. (2007) Policy and Implementation: A Case of Music Copyright Laws in Kenya. In Journal of Music Research in Africa - MUZIKI (formally known as Ars Nova) ISSN 1812-5980. pp. 27 – 47. 43. Wanyama M. N. (2006) The Philosophy of Art Reflected in African Music: A comparative analysis of Western and African Aesthetic Perspectives. In Centering on African Practice in Musical Arts Education. Peer Reviewed Proceedings of 2005 PASMAE Conference at Maputo, Mozambique, 5-6 July, 2005. Stellenbosch: African Minds – Compress. Edited by Minette Mans. pp. 17 – 30. ISBN: 1-920051-49-X. 44. Wanyama M. N. (2006) Music Education: An Unexploited Goldmine in Kenya. In International Journal of Community Music. Proceedings of Music and Lifelong Learning Symposium of April 14-16, 2005: University of Wisconsin-Madison, U.S.A. Edited by Chelcy Boules and Debbie Rohwer. ISSN: 1550-7327. Vol. 4. 45. Wanyama, M. N. (2005). How not to criticize, Analyze and Appreciate African Music: A case of Bukusu Music. In Refocusing Indigenous Music in Music Education. Proceedings of The East African Symposium on Music Education. Held at Kenyatta University, Kenya. ISBN: 9966-7028-2-2. pp. 35-39. 47. Wanyama, M. N. (2017) Bango. In: The Encyclopedia of Popular Music of the World (EPMOW). 48. Wanyama, M. N. (2017) Omutibo. In: The Encyclopedia of Popular Music of the World (EPMOW). 49. Wanyama, M. N. (2017). Mwomboko. In: The Encyclopedia of Popular Music of the World (EPMOW). 50. Wanyama, M. N. (2017). Litungu. In: The Encyclopedia of Popular Music of the World (EPMOW). 51. Wanyama, M. N. (2017). Isukuti. In: The Encyclopedia of Popular Music of the World (EPMOW). 52. Wanyama, M. N. (2017). Rumba. In: The Encyclopedia of Popular Music of the World (EPMOW). Awarded Head of State Commendation (HSC) award, by H.E. The Fourth President of Kenya, Hon. Uhuru Muigai Kenyatta, at State House Nairobi, for exemplary service in Education, Research, Culture and Musical Arts Education in Kenya, Africa and beyond. Presidential Music Award and Certificate of exemplary performance in music and promotion of music standards in Kenya - State House Nairobi. Awarded Academic Honorary Colors for exemplary Performance in my Doctoral Studies at the University of Pretoria, South Africa. 8. Kabibi Maria (2003) Lingala pop music by Niboma.